You can now access digital files of four PAD-US 1.4 maps on the USGS PAD-US web site – use them in presentations, or print your own versions! 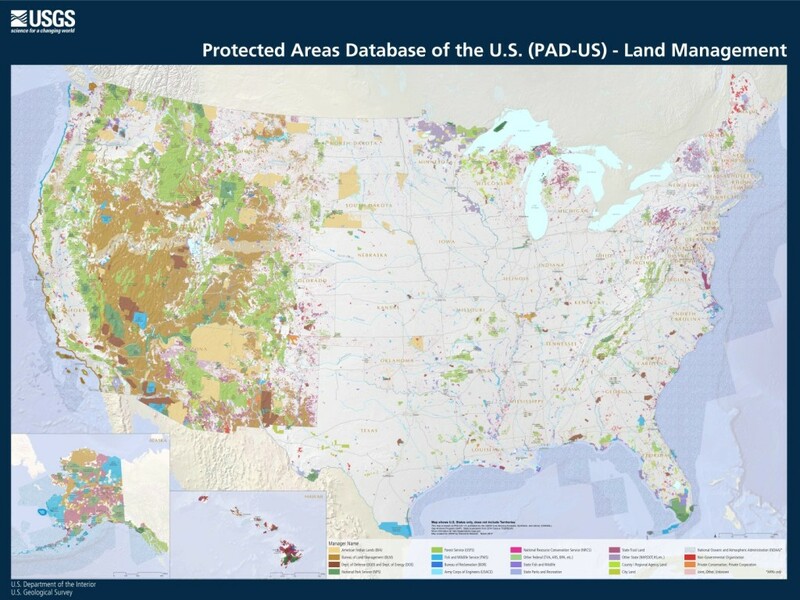 Custom maps for PAD-US were developed by GreenInfo Network and are available by Manager Name (specific federal agencies, generalized names for state/local agencies), Federal Manager Name (federal lands only), Public Access (whether open or not), and GAP Status (degree of biodiversity protection). Provided files include smaller JPGs for presentations and simple uses, and larger PDF files for printing up to medium sizes (20×30″ or so).